A FORMER leader of the SDLP and the grandson of an historical Sinn Féin figure have formed an unlikely partnership in the hope of having a blue plaque erected in Ardoyne to mark a fascinating piece of local history. Conor Bradley recently completed an unfinished manuscript written by his late grandfather, the prominent Sinn Féiner Cahal Bradley, back in 1935. 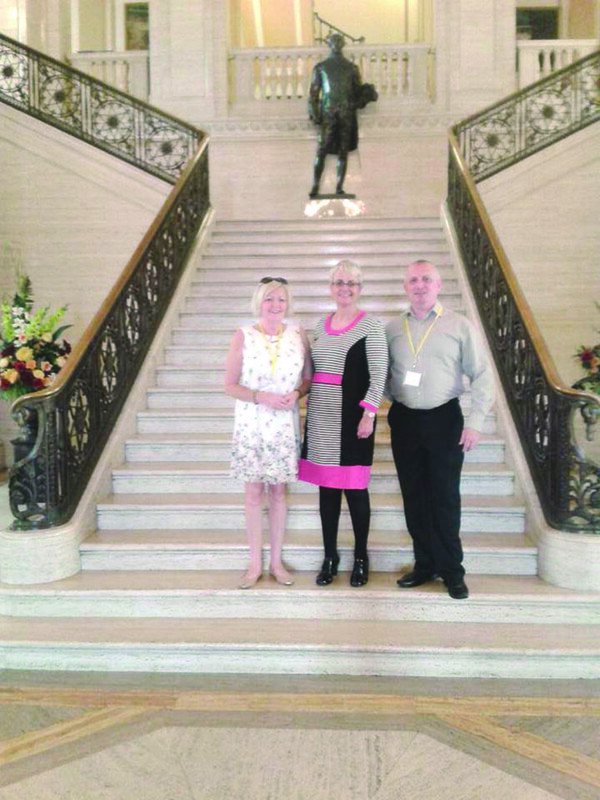 Having published the book ‘Next Stop Heaven’ earlier this year, Conor was contacted by former SDLP leader Margaret Ritchie MLA, who read Cahal’s story and realised she was related to Conor. The second cousins have now approached the Ulster History Circle in an attempt to have a blue plaque erected in Herbert Street, where Cahal ran the family business exporting carrageen moss from Ireland’s Atlantic coastline to the USA. A founding member of the Charles Kickham’s GAA club, Cahal was actively involved in the Irish Republican Brotherhood, the IRA and nationalist organisations like Sinn Féin, the National Council and the Anti-Partition League. He was appointed the first nationalist Deputy Lord Mayor of Derry City in 1919 and went on to be elected as a member of the Anti-Partition League to the Senate at Stormont in 1951. When the last of the Bradleys moved out of Herbert Street they donated the row of houses to the community, enabling the first Ardoyne Community Centre to open its doors. Now Conor is planning to relaunch the book with the help of Lord Mayor Arder Carson in Ardoyne Library this Saturday (December 5) at 1.30pm and has been invited to City Hall to present the book in January. “Before my father passed away at the age of 88 five years ago he passed on the family heirloom to me and I decided it needed to be printed,” said Conor. “It took a lot of work to transcribe the manuscript and present it in book form. Thankfully the reception from the book has been great since it was released earlier this year, including an interesting phone call from Margaret Ritchie.